This post appeared on my original blog site on Blogspot on 10-29-16. Halloween 2016 is almost here. Time for adults to indulge in the dark side, the dark chocolate bar dark side that is. The higher the percentage, the more skill the chocolate maker needs for the bar to come out tasting right. 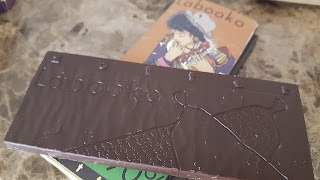 Be sure to click on my Halloween comedy chocolate bar review video at the end of this post which also features these two bars. Labooko Bolivia 90% made by Zotter. Zotter manufactures their bars in Austria. 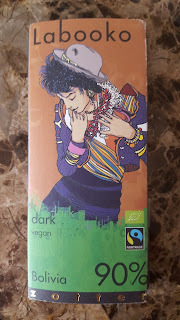 I find their packaging to be both beautiful, and a bit cheeky, depending on the bar. Nose: Hint of sweetness, grain, cinnamon, and vanilla. Texture: Very snappy, melts quickly. Taste: Butter, coffee, gooseberry. This bar has salt in the ingredients list. You don’t taste the salt, but I know salt decreases the taste of bitterness, and acidity, so I think it’s why this high percentage bar is much easier to eat then some. I definitely want to try Zotter’s 100% bar. 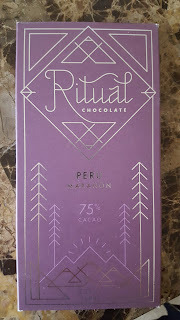 Ritual Chocolate 75% Peru Maranon bar. 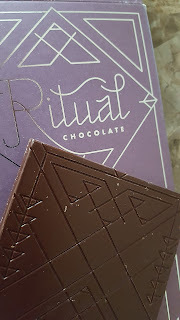 Ritual Chocolate is a bean to bar maker located in Park City, Utah. Texture: Good snap, melts fairly quickly. Taste: Astringent at first, some bitterness, red fruit, coffee, citrus. 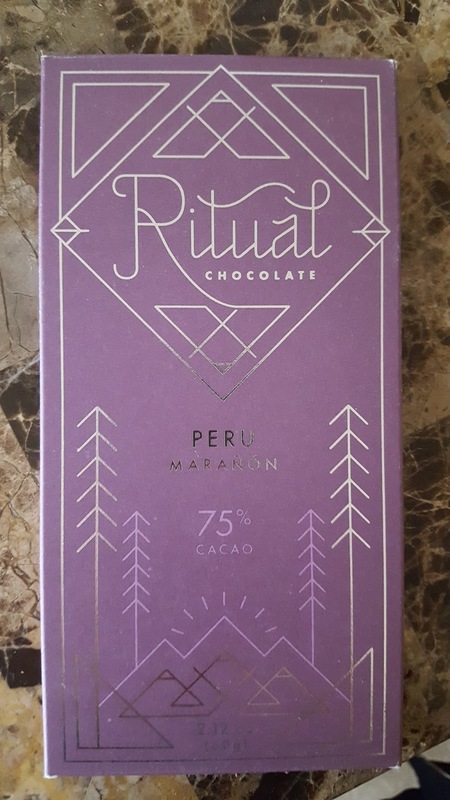 To me, this 75% bar tastes closer to 80%. Happy Halloween! Eat plenty of chocolate, and be sure to click on my comedy, chocolate bar review video below!